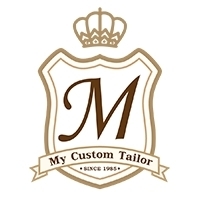 Hong Kong, Hong Kong S.A.R., April 15, 2019 --(PR.com)-- With 3 generations of experience in custom tailoring and bespoke services, My Custom Tailor is constantly looking to provide its customers with high quality, tailor made clothing for women and men at affordable prices. With that in mind, My Custom Tailor is upgrading their custom suits to include new features. My Custom Tailor's mission is to provide a custom tailoring alternative to ill-fitting, off-the-rack clothing for men and women. 3 generations of experience in custom tailoring and bespoke services.